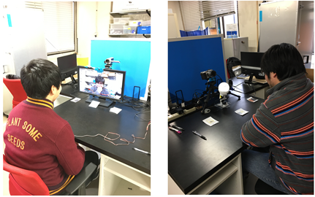 In this research, we developed a telepresence robot with synchronized operation and investigated the usefulness of synchronized operation by telepresence robot. We conducted interpersonal dialogue assuming remote communication actually using the developed robot and evaluated robot’s confronting robot face to face with robot in case there was merging of emotions and synchronized behavior by robot, We investigated the difference in evaluation to quality. 1. Soji Yonezu and Hirotaka Osawa. 2017. 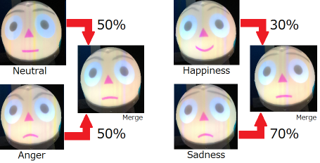 Telepresence Robot with Merging Users’ Emotions and Behaviors. In IEEE International Symposium on Robot and Human Interactive Communication, 213–218.